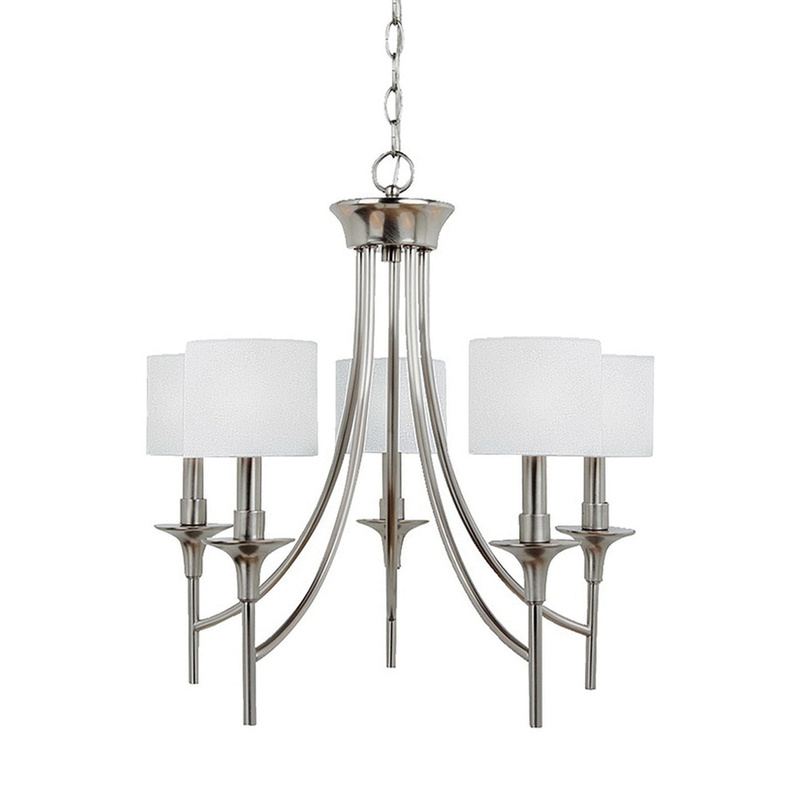 Sea Gull Lighting Stirling Collection 5 -Lamp chandelier in brushed nickel finish, features steel construction. The white linen glass shade of dimension 4-5/8-Inch Dia x 4-Inch brings elegance to home. This chandelier uses five 60-Watt Torpedo Candelabra base lamps. It has voltage rating of 120-Volts. This chandelier has a dimension of 22-1/2-Inch Dia x 20-3/4-Inch. It is center lock-up/box mountable using 5-1/2-Inch Dia x 1-3/8-Inch backplate and 120-Inch chain/stem. Chandelier is Title 24 compliant.